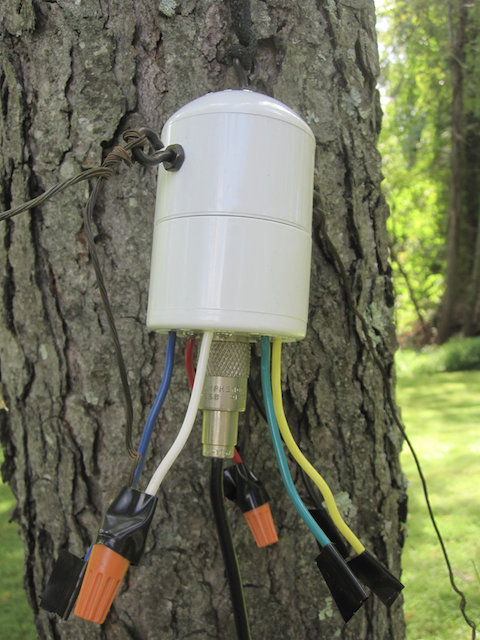 This is what I've used for a while with my beverage antenna, with great results. I've had others ask about buying one, so now here it is! Connection of the transformer is easy. Select two of the six wires, based on the known impedance of the antenna, or through experimentation. The antenna wire and ground wire are first each connected to one of the eyebolts on the transformer by passing them through and then wrapping a few turns. This provides strain relief. Do not connect the antenna or ground wires directly to the transformer wires without doing this, or the wires could be pulled out, damaging the transformer. The eyebolt at the top of the transformer can be used to hang it for mounting. 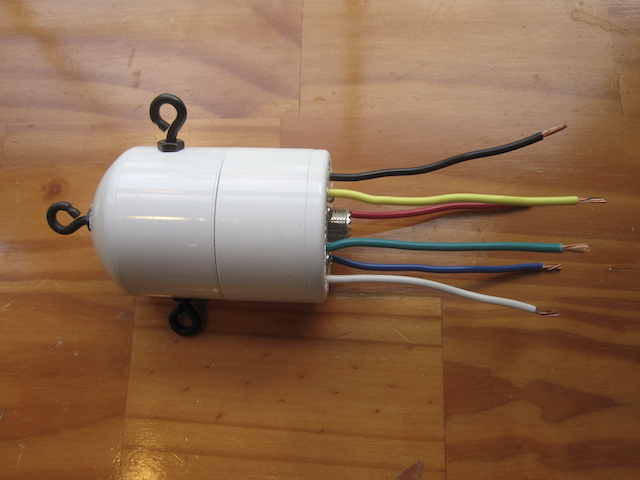 The eyebolts are insulated from the transformer windings. 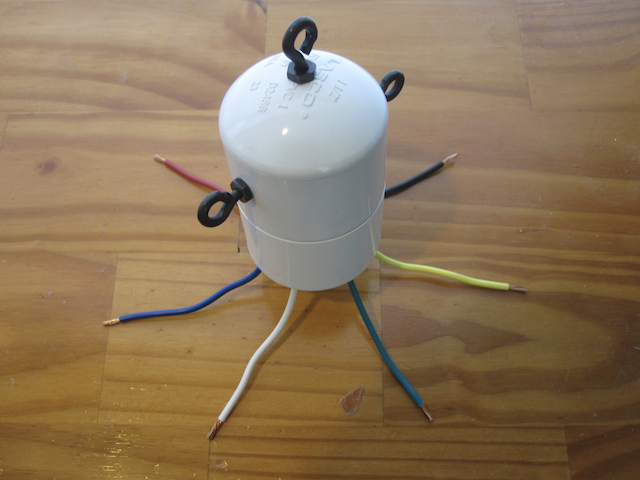 One wire is connected to the antenna wire, the other to your ground wire, ideally to a ground rod located close to the transformer and terminal end of the antenna. The connections should be secured with wire nuts and/or electrical tape (which you supply). The four unused wires should also be covered to prevent corrosion, should you wish to use them in the future. Their short length will not cause appreciable unwanted RF pickup.